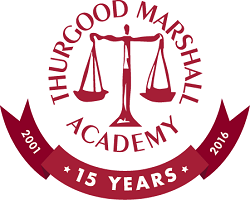 Thurgood Marshall Academy Public Charter High School | Support our students' success! When you support Thurgood Marshall Academy each year through our annual fund, you support our educators, and help us go above and beyond what we receive from city funding to ensure we secure the best resources in talent and experiences for our students. This means we can pay our teachers a competitive salary, invest in meaningful professional development, and provide the supplies and technology they need to be effective in and out the classroom.